Many of us have been given a promise. We feel deep within us that God is doing something BIG! We have read the scriptures, memorizing the ones that give us hope! Day after day we march on, secretly praying that our breakthrough will be TODAY. Things begin to look up, doors begin to open and then you come upon the door that will reach your destiny and its LOCKED. Wait, what? Locked! There seems to not only be a locked door but a brick wall surrounding the door. The house, the job, the business you prayed so hard for; only to be suddenly BLOCKED out. The mortgage was denied, the employer went with another candidate, no one is buying what you’re selling. What happened to your promise? When God says it’s going to happen, it is. Locked door and all. We often forget God holds all the keys and what’s locked to us is NEVER locked to him. Josh knew what God had promised him. He didn’t turn away after coming so far because of a locked door. He knew that God created the door and HE has the master key. We mistakenly assume when a door is locked that what’s behind it wasn’t meant for us. We make this assumption based on the fact that we don’t have control over if the door is opened or closed. 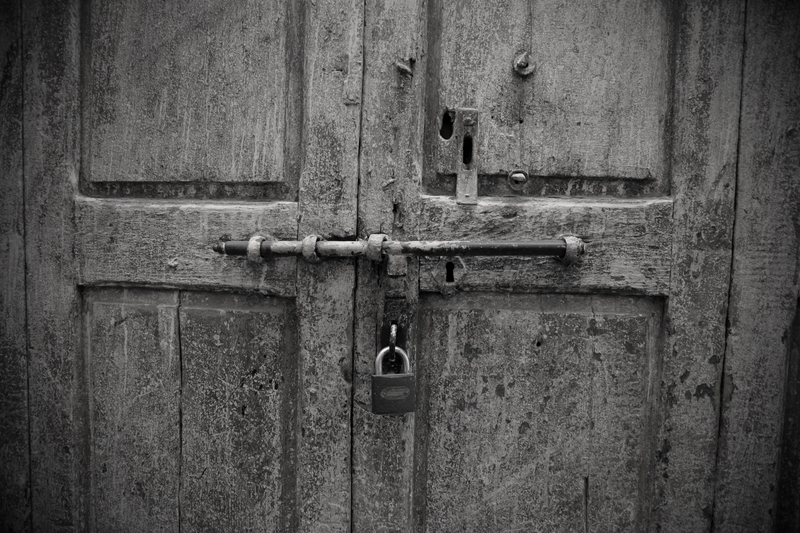 Nothing within our own power can open a locked door. But we don’t have to, no one told us we had to, we are trying to open it on our own. The truth of the matter is:no matter how hard we try we can’t open the door. If God told you to go, do, or be; if you prayed about it and believed God for it, then the word tells us it’s yours. Don’t let a seemingly locked door discourage you. God not only has the keys to open it, he has the ability to bring the entire wall down. I know a great locksmith.